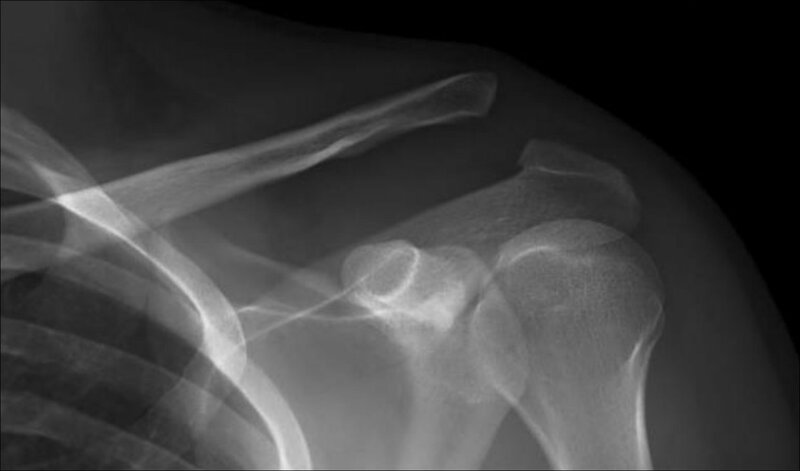 Patient will present as → a 37-year-old right-hand dominant male fell off his bicycle four days ago and injured his left non-dominant shoulder. There is an abnormal contour of the left shoulder with an elevation of the clavicle, AC joint tenderness, and pain with cross chest testing. A radiograph is shown here. The axillary radiograph shows no anteroposterior translation. The patient will present after → a fall directly to the shoulder or outstretched hand. Patients may have: elevation of the clavicle (step off deformity) and point tenderness and pain with cross chest testing. To appropriately grade acromioclavicular separations, an x-ray is taken with the patient holding a weight to assess the level of injury to the joint. Conservative management is possible for mild to moderate injuries because they can be managed with a sling and analgesia. 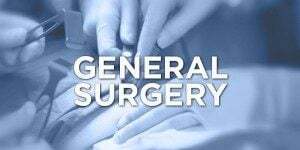 More severe injuries usually will require operative repair. Patient will present as → a 33-year-old man who complains of left anterior shoulder pain for 4 weeks. The pain is made worse with overhead activities. On examination, you note maximal pain in the shoulder with palpation between the greater and lesser tubercle. Pain in the shoulder is exacerbated when the arm is held at the side, elbow flexed to 90 degrees, and the patient is asked to supinate and flex the forearm against your resistance. 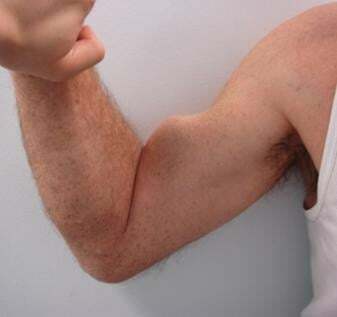 Patient will present with → pain at the biceps groove. 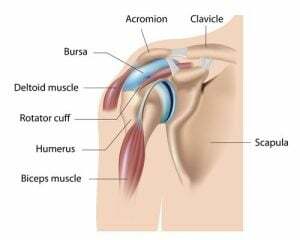 Anterior shoulder pain - may have pain radiating down the region of the biceps, symptoms may be similar in nature and location to the rotator cuff or subacromial impingement pain. Pain with resisted supination of the elbow. X-Ray to r/o fracture. Ultrasound: can show thickened tendon within bicipital groove. MRI: can show thickening and tenosynovitis of proximal biceps tendon - increased T2 signal around biceps tendon. "Popeye" deformity - indicates a rupture. Treat with NSAIDS, PT strengthening, and steroid injections. Surgical release reserved for refractory cases for bicep pathology seen during arthroscopy. Speed test: Pain elicited in the bicipital groove when the patient attempts to forward elevate shoulder against examiner resistance while elbow extended and forearm supinated. Positive if the pain is reproduced. May also be positive in patients with SLAP lesions. Yergason’s test: Elbow flexed 90 degrees, wrist supination against resistance. Positive if the pain is reproduced. Patient will present as → a 69-year-old male with right shoulder pain for the past several months. He reports that he cannot reach above his head without severe pain. As a retired carpenter, he reports that this has significantly impacted his quality of life. Additionally, he is unable to lie on his left side at night due to shoulder pain. On physical exam, there is focal tenderness over the left anterolateral shoulder. 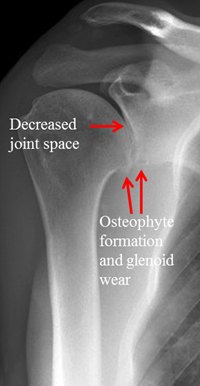 Radiography reveals reduced space between the acromion and humeral head. Patient will present with → shoulder pain with overhead activity or at night when lying on arm or weakness and immobility after acute injury. Injury to one or more of the rotator cuff muscles, typically due to tear or tendinopathy, rotator cuff muscles, which are all innervated by C5 and C6, are the SITS. The supraspinatus muscle is most commonly injured. Risk factors: older age, smoking, repetitive overhead reaching. Acute avulsion injuries typically following a trauma. Chronic degenerative tears - repetitive overhead motions, tendon weakening due to degenerative changes and chronic impingement. Shoulder pain exacerbated by - sleeping on the affected shoulder, reaching overhead and limited function of the shoulder. Severe focal tenderness at the insertion of supraspinatus (anterolateral shoulder) and decreased active elevation with a normal passive range of motion. 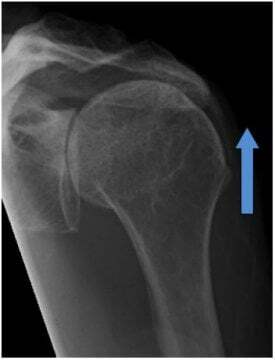 Radiography for all patients as initial imaging - loss of subacromial space, due to upward migration of humeral head. Magnetic resonance imaging (MRI) is the most accurate test. Treat with physical therapy (for all patients), NSAIDs, steroid injections and surgical repair for patients with complete tears or for those who fail 3-6 months of conservative management. Empty can test: 90 degreeS abduct, 30 degreeS flex, rotate internally. Apply downward pressure. Positive test is weakness or pain. Full can test: 90 degrees abduct, 30-degreeS flex, rotate externally. Apply downward pressure. Arm drop: Arm passively abducted and actively adducted slowly. Positive test is when arm drops quickly at 30 degrees. Positive test is pain or weakness. 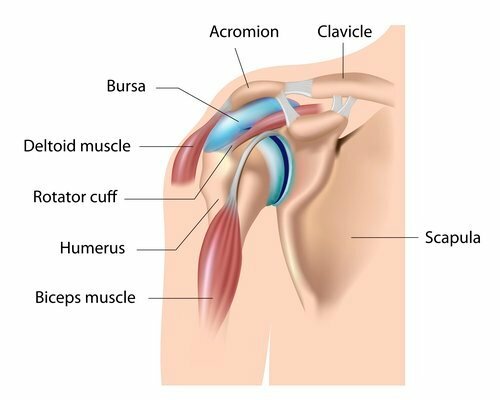 Which of the following rotator cuff tendons is most likely to sustain injury because of its repeated impingement (impingement syndrome) between the humeral head and the undersurface of the anterior third of the acromion and coracoacromial ligament? A critical zone exists for the supraspinatus tendon due to its superior insertion site. It is susceptible for injury because it has a reduction in its blood supply that occurs with abduction of the arm. Impingement of the shoulder is most commonly seen with the supraspinatus tendon, the long head of the biceps tendon and/or the subacromial bursa. Patient will present as → a 50-year-old female with a past medical history of diabetes mellitus complaining of prolonged shoulder pain and stiffness for 6 months. For the past few months, she reports persistent left shoulder pain that also occurs at night. She denies history of traumatic injury. On physical exam, she has decreased active and passive range of motion. She is also unable to reach 90° with passive abduction. Resisted shoulder range of motion testing is pain-free and demonstrates no strength loss. She is sent home with range of motion exercises and counseled that this will likely resolve with time. Insidious onset of shoulder stiffness and pain at rest and with movement. Decreased active and passive range of motion. 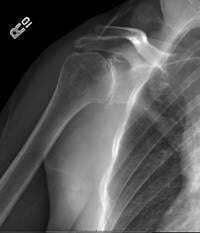 Often post fracture looks like rotator cuff injury. MR arthrogram - loss of axillary recess indicates contracture of the joint capsule. Apley scratch test: the patient tries to bring hands together on the back while one hand comes from above and the other from below. 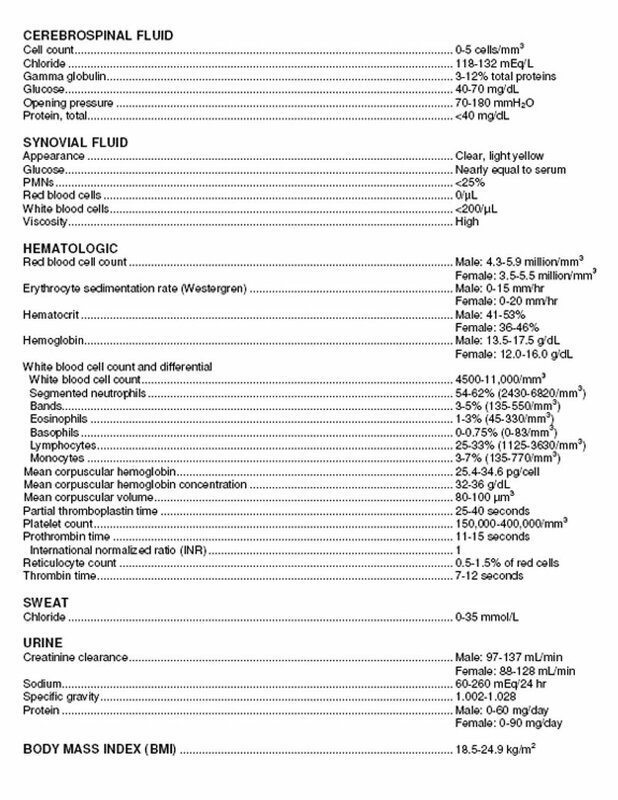 Positive test - restriction with movement. Treat with NSAIDs, physical therapy, and intra-articular steroid injections. Surgery if failure to respond to conservative treatments - arthroscopic surgical release, manipulation under anesthesia (MUA). 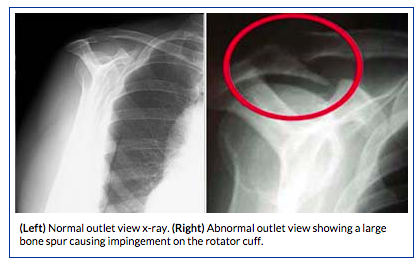 Patient will present as → a 70-year-old male with an insidious onset of left shoulder pain that is exacerbated by overhead activities and while lifting objects away from his body. He is a retired mechanic of 35 years. The patient reports that over the last several months he has been having difficulty sleeping because of the pain. On physical examination, there is notable tenderness over the left anterolateral shoulder and passive forward flexion >90° causes severe pain. An x-ray reveals proximal migration of the humeral head and calcification of the coracoacromial ligament. 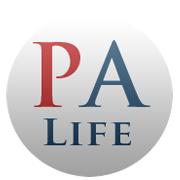 Patient will present with → pain with reaching or lifting, and pain with overhead motions. Will have positive impingement tests: check the subscapular nerve and the supraspinatus. (+) Hawkins: Elbow/shoulder flexed at 90 degrees with sharp anterior shoulder pain with internal rotation. (+) Drop arm test: pain with inability to lift arm above shoulder level or hold it or severe pain slowly lowering arm after shoulder abducted to 90 degrees. Crepitus with range of motion. X-ray may show a subacromial spur. Treatment involves rest, ice, activity modification, NSAIDs, and corticosteroid injections. 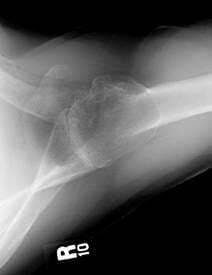 Symptoms refractory to conservative treatment or if subscapularis tearing secondary to impingement - arthroscopic surgery is indicated. Patient will present as → a 42-year-old man with complaints of right shoulder pain. He does not remember any specific injury but has been playing a lot of tennis during the past 4 months. He tells you that “opposing players no longer fear my serve.” It has become difficult and painful for him to reach overhead and behind him. Even rolling onto his shoulder in bed is painful. On examination of the right shoulder, there is full range of motion in all planes with obvious discomfort at end ranges of flexion, abduction, and internal rotation. There is significant pain when you place the shoulder in a position of 90 degrees flexion and then internally rotate. 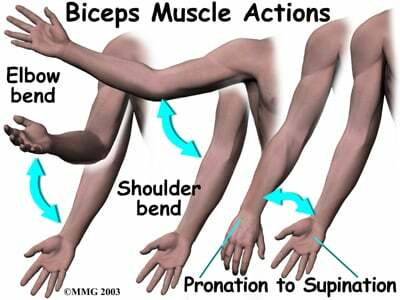 There is also moderate weakness with abduction and external rotation of the shoulder. The rest of the musculoskeletal examination is normal. Bursitis is an inflammatory disorder of the bursa (a thin-walled sac lined with synovial tissue). The inflammation is caused by trauma or overuse. Pain often not associated with trauma. Pain on motion and at rest can cause fluid to accumulate. Presentation is very similar to what you would see with subacromial impingement. Aspirate if fever, diabetic or immunocompromised. Treatment includes prevention of the precipitating factors, rest, and NSAIDs. Cortisone injections can be helpful. 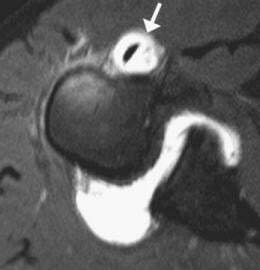 Patient will present as → a 66-year-old male with chronic right shoulder pain and crepitus. On physical exam his rotator cuff strength is 5/5. He has pain with both passive and active range of motion. Radiographs are shown here and here. An MRI is performed and shows no evidence of a rotator cuff tear. The more the patient does the more pain he/she will have. More common in the elderly, may be associated with throwing athletes at a younger age. Presents with pain at night and pain with activities involving shoulder motion. On physical exam will have tenderness at GH joint,flattening of the anterior shoulder contour due to posterior subluxation of the humeral head, functional limitations at GH joint - decreased external rotation, and painful shoulder range of motion. Radiographs demonstrate subchondral sclerosis and osteophytes at the inferior aspect of humeral head. 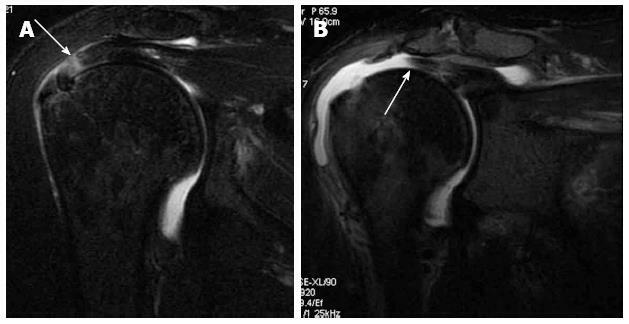 MRI may be indicated to evaluate rotator cuff tendon. 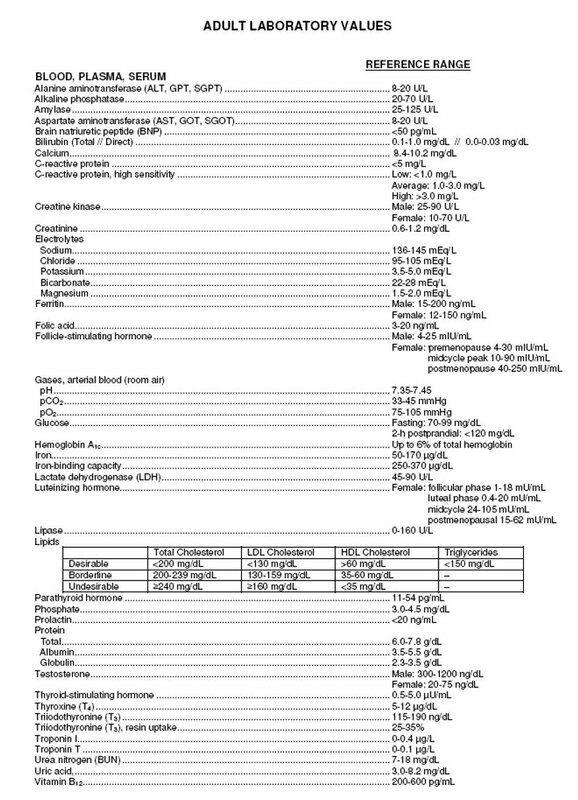 NSAIDS, physical therapy, corticosteroid injections. 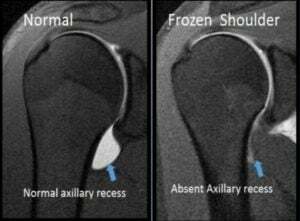 Total shoulder arthroplasty if unresponsive to nonoperative treatment. A 33-year-old man complains of left anterior shoulder pain for 4 weeks. The pain is made worse with overhead activities. On examination, you note maximal pain in the shoulder with palpation between the greater and lesser tubercle. Pain in the shoulder is exacerbated when the arm is held at the side, elbow flexed to 90 ° and the patient is asked to supinate and flex the forearm against your resistance. On the basis of this presentation, what is the most likely diagnosis? 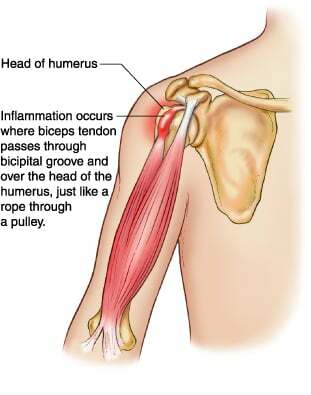 Bicipital tendonitis is an inflammation of the long head of the biceps tendon and the tendon sheath causes anterior shoulder pain that resembles and often accompanies coexisting rotator cuff tendonitis. Tenderness with bicipital tendonitis is reproduced with Yergason test. During Yergason test, the shoulder pain is exacerbated when the arm is held at the side, elbow flexed to 90 °, and the patient asked to supinate and flex the forearm against your resistance. 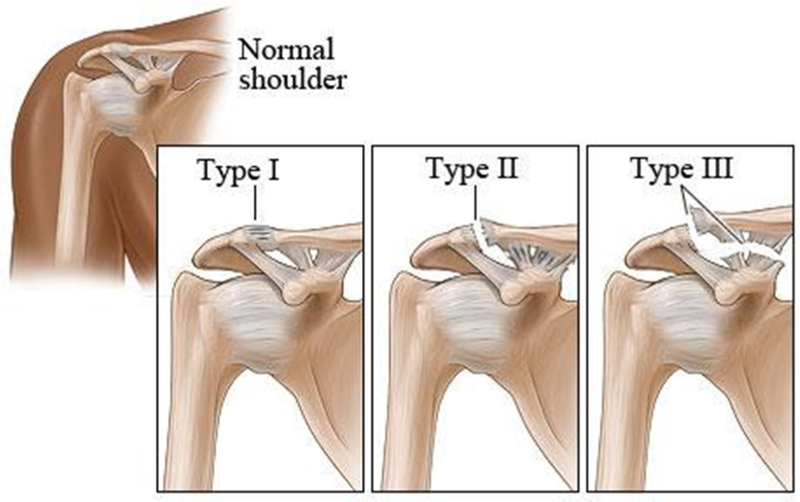 Rotator cuff injuries often accompany bicipital tendonitis, and bicipital tendonitis can occur secondary to compensation for rotator cuff disorders or labral tears. In this case, the pain is clearly reproduced in a pattern suggestive of bicipital tendonitis. Myocardial infarction can present as shoulder pain and should always be considered in patients, especially those with known cardiac risk factors. A 62-year-old man presents complaining of progressively worse right shoulder pain for 5 weeks. The pain is located anterolaterally and is aggravated by overhead activities. The patient notes significant pain when trying to sleep with his arm in a forward-flexed position and his hand behind his head. The patient notes weakness of the right arm and states that he has noticed that he uses the arm less because of the pain. 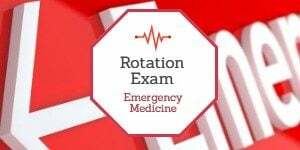 On physical examination, you elevate the patient's arms to 90 °, abduct to 30 °, and internally rotate the arms with the thumbs pointing downward. You note weakness and drooping of the right arm with this maneuver that is exacerbated when you apply downward pressure to the right arm. On the basis of this presentation, what is the most likely injured structure? The maneuver described is commonly referred to as the supraspinatus strength test or the “empty the can” test. Weakness in this maneuver is suggestive of injury to supraspinatus tendon. 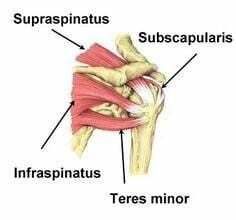 The teres minor and infraspinatus tendons are external rotators and are often tested with the arm at 90 ° of elbow flexion with the patient attempting to externally rotate against resistance. The subscapularis is also tested at 90 ° of elbow flexion with resistance applied as the patient attempts to internally rotate against resistance.